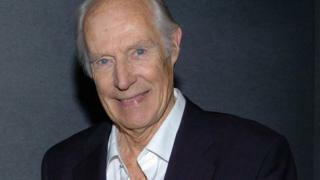 George Martin, whose production skills helped define the sound of British popular music, has died aged 90. His career spanned six decades; in that time he produced more than 700 records, wrote film scores and worked with music's greatest talents. His technical knowledge and love of experimentation saw him produce incredible sounds from equipment that modern musicians would consider primitive. His greatest success came with the Beatles; from the loveable mop-top recordings of the early 1960s to the acid-drenched psychedelia of Sergeant Pepper. George Henry Martin was born on 3 January 1926 into a working-class family in north London. His parents, a carpenter and a cleaner, wanted "a safe civil servant's job" for their son. He won a scholarship to St Ignatius' College in Stamford Hill, but when war broke out his parents moved out of London and he went to Bromley Grammar School. His passion for music really began when The London Symphony Orchestra, under Sir Adrian Boult, arrived to play a concert in the school hall. "It was absolutely magical. Hearing such glorious sounds, I found it difficult to connect them with 90 men and women blowing into brass and wooden instruments or scraping away at strings with horsehair bows. I could not believe my ears." He harboured secret ambitions to be a composer but, in the event, took a job as a quantity surveyor before joining the Fleet Air Arm in 1943 where he qualified as a pilot. By 1947 Martin was playing the oboe professionally and had been accepted to study at the Guildhall School of Music, despite being unable to read or write a note. After graduation he spent a brief spell at the BBC's classical music department before walking through the doors of EMI in Abbey Road as a record producer. He took to the mixing desk like "a duck to water". Five years later, at the age of 29, as head of the Parlophone label, he worked with artists such as Shirley Bassey, Matt Monro and the jazz bands of Johnny Dankworth and Humphrey Lyttelton. Martin also produced catchy, comic numbers, and enjoyed such successes as Right Said Fred with Bernard Cribbins and Goodness Gracious Me with Peter Sellers and Sophia Loren. In 1962, Brian Epstein introduced him to four Liverpudlians. They had been rejected by every major record label in the country and Martin himself was more impressed by their strong personalities and natural wit than by their music. "They were raucous," he later remembered. "Not very in tune. They weren't very good." Nevertheless, he signed the Beatles and Love Me Do became their first hit later in 1962. Thus began the most successful recording studio partnership of all time. For the next eight years, Martin guided the Fab Four from the frothy pop sound of I Want To Hold Your Hand to the ambitious experimentation of Sergeant Pepper's Lonely Hearts Club Band and Abbey Road. It was a steep learning curve for both producer and musicians. Martin had very little experience of pop music and the band had no idea how a recording studio worked. Martin's main talent lay in his ability to translate the adventurous ideas of Lennon and McCartney into practical recording terms. While McCartney could express his requirements, Lennon was often more vague. If he was searching for what he called "an orange sound", it became Martin's task to find it. But it all worked. In a 1975 interview with the BBC's Old Grey Whistle Test, John Lennon said that it was a true partnership. "Some people say George Martin did all of it, some say The Beatles did everything. It was neither one. We did a lot of learning together." Martin's classical training became ever more valuable as the Beatles continued to push the boundaries of their music. He wrote and conducted the strings on Eleanor Rigby and the eclectic backing to I Am The Walrus. All this was being achieved on what would now be considered basic recording equipment, which would be pushed to the limit for the recording of the Sgt Pepper album. At the time, EMI had only four-track tape machines so Martin, and his engineers, devised a technique whereby a number of tracks were recorded and then mixed down on to one single track, giving the flexibility of a modern multi-tracked studio. He also made much use of recording different tracks at various tape speeds to change the texture of the final sound, a technique used to good effect on Lucy in the Sky. The harmony between band and producer suffered one of its rare hiccups when George Martin was temporarily unavailable and McCartney brought in another producer to arrange the strings on She's Leaving Home. By the time The White Album came to be recorded, Martin was working with a number of different artists and The Beatles produced many of the tracks themselves. Following the 1970 break-up of The Beatles, Martin worked with artists such as Sting, Jose Carreras, Celine Dion and Stan Getz, as well as Lennon and McCartney on their solo projects. By then he had set up his own company, AIR studios, which enabled him, for the very first time, to be able to receive royalties for his work. In the late 1970s, Martin built a studio on the Caribbean island of Montserrat, and artists including Dire Straits and The Rolling Stones travelled there to record albums under Martin's respected guidance. When Hurricane Hugo devastated both island and studio in 1989, Martin produced a benefit album to help raise funds for the victims. Martin received a knighthood in 1996, and a year later, Elton John asked him to produce the reworking of his song Candle in the Wind for the funeral of Diana, Princess of Wales. He persuaded the singer just to sit down in the studio and record it exactly as he had played it in Westminster Abbey. The resulting single was Martin's 30th number one record, the highest of any musical producer. He retired two years later after producing what he decreed would be his final album, In My Life, a collection of Beatles songs, rearranged and recorded by a collection of singers, film actors and musicians. However, he was not able to completely relax. In 2002 he was part of the team which put together the Jubilee concert at Buckingham Palace and in 2006 he supervised the remixing of 80 Beatles tracks for use by Cirque de Soleil in a Las Vegas stage show called Love. In his career, George Martin worked with some of the best-known names in popular music - ranging from Jeff Beck, through Ultravox to the Mahavishnu Orchestra. But his enduring legacy will be his work with The Beatles whose timeless sounds, as acknowledged by the band members themselves, owe much to his input as a musician, arranger and producer.